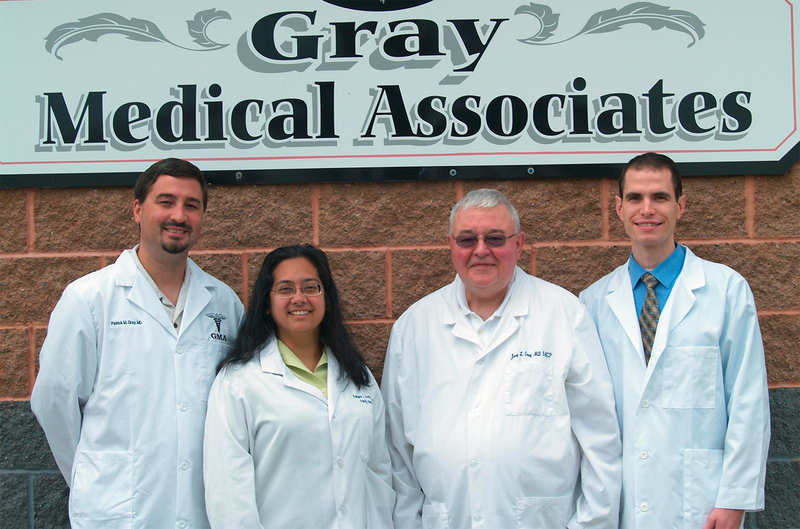 Gray Medical Associates is a private practice of Dr. Jerry L. Gray, Dr. Patrick M. Gray, Dr. Tamara L. Hoffman, Dr. Conor J. Mulcahy, and Kelly J. Maher, Physician Assistant. We are all board certified in our respective fields of medicine and only see patients of Gray Medical Associates. Our main office is located at 1599 Somerset Ave Windber, PA. The office hours at our main office on Somerset Ave are 8 am to 4:30 pm M-F with evening hours scheduled by appointment only. Patients are seen by appointment which may be scheduled by calling 814-467-5600. The practice is covered by the physician on call after hours and you may reach them in an emergency by calling the Windber Medical Center Emergency Department (814)467-3000 and the ER will contact the on-call physician an obtain instructions for you. Every effort should be made to take care of any problems during regular office hours if at all possible. The staff will be using a voicemail box for overflow calls and we will make every effort to get back to you within 24 hours with return calls. If you have a life threatening emergency you should call 911 however for transport to your local Emergency Department.